Three years ago, Ameera Mohammed felt something strange. As if a rock were pressing against her chest, she struggled to breathe. Sweat trickled down her forehead and her hands went numb as her body shook uncontrollably. This was her first anxiety attack. Ameera dealt with a lot of loss as a child, witnessing her two-year old sister die from leukemia. When she was 18 years old, her mother was diagnosed with stage 3-breast cancer. Ameera experienced her first anxiety attack as her mother was getting ready for her first surgery. Contributing writer Afifa Mahboob sat down with Ameera to discuss her journey through clinical depression and anxiety. Her anxiety grew worse over the next few months. As her mother’s treatment continued, Ameera would find herself alone in her room, shaking and crying herself to sleep. Soon, she was staying up most nights. Her grades in school dropped as she began having trouble getting out of bed to attend lectures. Later that year, Ameera told her family and friends about her issues. Her mother took her to a family doctor, and when he began explaining that Ameera may be suffering from clinical depression and anxiety disorder, she began to panic. She was afraid of being formally diagnosed. She did not want to take antidepressants, so her doctor offered alternatives. In a study by Derrick Kranke of Case Western Reserve University on the stigma surrounding psychiatric medication amongst adults, researchers found that adolescents in particular often feel ashamed of taking medication. Fearful of being judged by peers, they often assume that taking medication means that they are no longer ‘normal’. Ameera had similar views. Three weeks later, a particularly bad panic attack made her realize that she could no longer keep letting things escalate. Over time, Ameera’s symptoms improved, but the antidepressants initially worsened her chest pain and breathing. Her doctor warned her that, with the medication, the attacks might get worse before they got better. But after two weeks, Ameera began to notice a difference. Although the medication helped with most of her symptoms, it was during this period that Ameera decided she wanted a change. In fact, Ameera was fortunate that without much difficulty, she could go off her medication on her own. 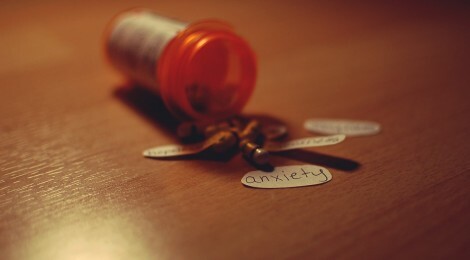 It’s generally advised to reduce antidepressant dosage under the care of a physician. Based on her experience, Ameera advises others facing anxiety and depression to seek out social support from loved ones. Despite her recovery, Ameera cautions that it was not easy, and that part of her depression and anxiety will always linger.